British singer-songwriter Tom Odell believes it’s important to imagine every little detail in the scene you’re describing in a verse if you want to create word pictures that express the physical experience of the emotions you’re trying to convey. “I almost have to live it in my head in order to write a song,” Odell recently told Dale Kawashima of SongwriterUniverse magazine. One of the most frequent mistakes in lyric writing is trying to evoke an emotional response in listeners simply by telling them what you’re feeling or thinking. This is actually one of the least effective ways to make a lasting connection with the people who hear your song. 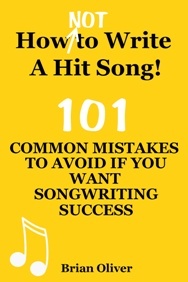 In the verse lyrics especially, you need to show listeners what the song is about. In other words, invite the audience into the world of your song by allowing them to ‘watch’ the story unfold like a movie. By describing each scene as if you’re looking through the lens of a video camera, you’ll be able to help people ‘see’ and experience what the performer of your song is feeling. For example, Tom Odell’s beautiful song ‘Constellations’—from his 2016 album Wrong Crowd—opens with him talking to a girl in a busy bar and his lyrics vividly describe the scene. “In order to write that,” Odell told SongwriterUniverse, “I had to imagine every detail in that bar—the chatting in the bar, the gentle hum of the bar, the headlights passing outside, the chair that squeaks, the look on [the girl’s] face. But obviously you can’t get all of that detail in the song. You can only pick a few of those details to sing. But in order to get those details I had to almost write so many verses to get to that point.